I wrote my last blog entry in a dismal mood. Having been “let go” from our job as a ranch couple, I was understandably upset. Coupled with the rejection (both received and imminent) from the Department of Education, being fired was the final stroke and I withered beneath the weight of disappointment. Luckily I had a week and then some on the road to lick my wounds. Now from the comfort of a “for now” home, I can let my mind drift back West. I was always going to write something about living in Nevada. There was going to be a separate blog, full of epic photographs and even more epic videos. I was going to intertwine the local history I had been researching along with charming aspects of rural, high desert life. But like so many things in the life of this grad student, it would never come to be. It’s just one more project that slipped through my fingers, snuffed out by forces more powerful than myself. But the West wasn’t through with me. I felt the first stirrings a couple of weeks ago as The Daily Mail, my primary news source reported on Burning Man and the photographs of Adam Jahiel. A year ago these stories would’ve meant very little to me; to be honest, I’m still bewildered by Burning Man. But the article on Jahiel, with photos of cowboys in the Great Basin, rustled emotions I didn’t think I had about the West. There’s nothing worse than falling in love with a place and then being told you can’t stay. 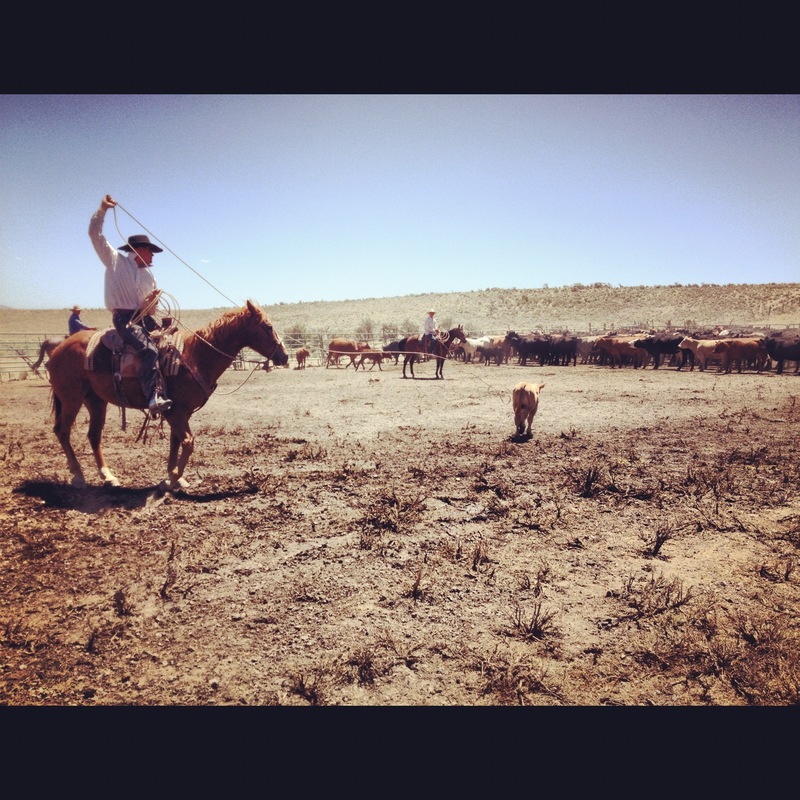 A few hours before our fateful meeting, we watched the cowboys brand calves. For them it was a pretty routine activity and since my husband and I weren’t doing anything that Friday we joined them. We drove to the other side of the ranch, crossing U.S. 93 (30 minutes north of the intersection with I-80 at Wells), and drove about 45 minutes on a gravel road to the valley where the cowboys were rounding up cattle. 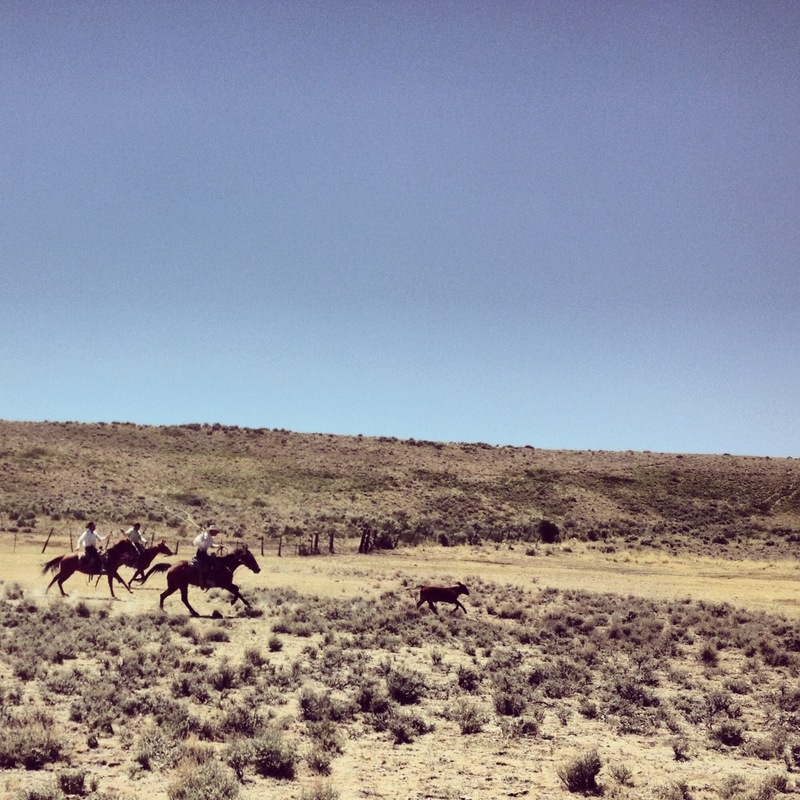 I know better than to call them “cowboys”; in Nevada they’re known as “buckaroos.” Once we arrived the buckaroos had been at it for hours: roping calves, branding them, giving them shots, and castrating the males. It was dusty and the sound of mooing almost drove me nuts, but I still fell under the spell of this labor-intensive yet elegant activity. As The Daily Mail article demonstrates, as well as one from National Geographic that actually featured the Tucker brothers whom I met in Nevada, there is a lingering fascination with this enduring element of Western culture.